Apple today introduced the new iPad featuring the seriously stunning new Retina display, A5X processor with quad core graphics, 5-megapixel camera with same optics as found on iPhone 4S and support of 4G LTE. We will be doing indepth take on all the new products Apple announced today on TechzTalk. That's it from the Apple event. Tim thanks everyone for coming. Tim says that only Apple could deliver that kind of integration and 2102: there's a lot to look forward to. He starts by calling the new iPad amazing and is now showing an ad for the new iPad. Phil confirms that the iPad 2 will now be priced $399 for 16GB WiFi model. And the new iPad will start at $499. The iPad video is now over and Phil is back on stage. Apple is now talking about the screen that has True RGB pixels. and Also about QUAD CORE A5X processor. It has quad core GPU and dual core CPU. 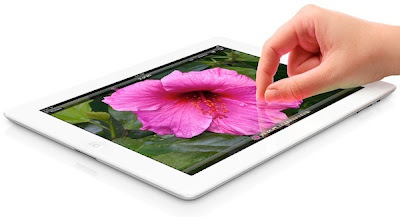 One thing we would like to note its called just iPad and not iPad HD like many blogs posted and we were the first to say "Apple Calling Next Generation Tablet “iPad HD” will be a Big Mistake". Apple is now running an iPad video highlighting all the new features. You can add maps, notes, text, calendar for date to the photos to give them more details. The app has some many features, its actually a full-fledged photo editing applications. Tapping in a specific area lets you adjust specific areas of the image. Touch and drag to brighten up the dark areas in an underexposed image, then touch again in the sky to tweak the saturation. He is now showing sharing on social networks and using features like auto enhance and cropping. The iPhoto app supports up to 19-megapixel images and has some very innovative gestures. You have to see it to believe it. He starts by talking about reinventing iPhoto for touch interface. He is demoing the new bezel gesture that allos you to Swipe in from the left to look at other photos in the album. Randy Ubillos is on stage for the iPhoto demo. Introducing iPhoto for iPad. It will have new gestures, new effects, multi-touch editing, iCloud support and sharing. Both GarageBand and iMovie are $4.99 and will be a free update. Next app is iMovie that is also getting Retina treatment. Phil showing a movie that was recorded on the iPad. GarageBand demo going on with four guys jamming. Now Phil is showing GarageBand for iPad that has new Smart Strings, Note Editor, iCloud support and sharing features. Apple will also release free updates for Pages, Keynote to support Retina display on new iPad. He adds "It's only going to look like this and play ​like this on the new iPad." The demo again is awesome and he says iPad has more memory and screen resolution than either the Xbox 360 or PS3. He says the game has HDR graphics and tone-mapping showing the graphics power on the new chip. Infinity Blade: Dungeons in which you are on a quest to craft the ultimate weapon. Now its Mike Capps, president of Epic Games showing a new project. He adds "Retina display is luscious. It takes it to the next level and creates an immersive environment.​ Professionals and everyday artists are going to love this device." The SketchBook Pro is a new drawing app. He says it takes advantage of the incredible graphics power of new iPad. Chris Cheung from Autodesk is up now and he is demoing Sketchbook. It looks great and the replay is really smooth for a action game that to at 2048 x 1536. Apple has definitely worked magic on the new A5X processor. First it's James Shelton from Namco showing Sky Gamblers new flight sim game. Now application demo time on Retina display of the new iPad. US, Canada, UK, France, Germany, Switzerland and Japan will be the first to get the iPad. 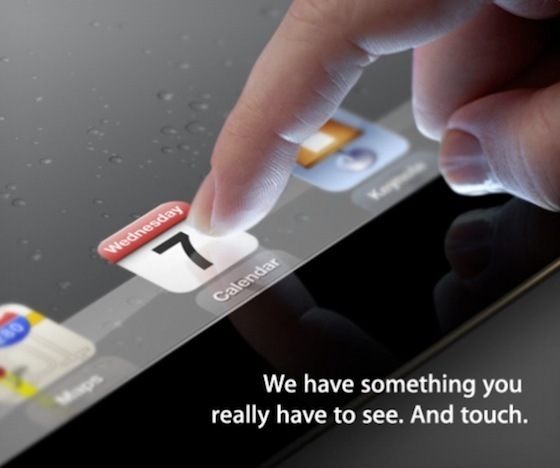 iPad will be available on March 16th and preorder starts today. Prices will remain same starting at $499 for 16GB WiFi version. It is also slightly thicker at 9.4mm and now weighs 1.4 pounds. Phil is now talking about battery, iPad 2 had 10 hours battery life for 3G. The new ipad will still have 10 hours, but it will be little less for LTE at 9 hours. Phil says This device is said to have the "most bands ever" -- "It's no small feat. This new iPad has the most wireless bands that has ever shipped." Verizon, Rogers, Bell, Telus and AT&T will be the LTE parnters at launch. Photos are loading faster on LTE, actually way faster than HSPA. LTE on iPad will support both AT&T and Verizon networks. Phil is demoing HSPA vs 4G LTE. iPad now has 21Mbps HSPA+ and DC-HSDPA at 42Mbps, with LTE at 72Mbps. It's not complete Siri. Now the fifth feature 4G LTE support. iPad will do 1080p video recording with image stabilization. It will also have voice dictation. Phil says the camera is basically same a iPhone 4S camera but with lower megapixel. Other features 5-megapixel backside illuminated sensor on the back, 5-element lens and IR filter camera. iSight front camera. The A5X processor offer four times the performance. The screen has 44% better color reproduction and the iPad will powered by A5X processor. He says that most people hold their iPad at about 15-inch and at that distant the iPad display easily crosses the Retina display threshold. Time for a new screen. It has 2048 x 1536 resolution with 3.1million pixels for a 264ppi. Phil adds "To this day no-one has yet matched that display technology. This presents a problem for us in presenting it to you. For the first time an iPad has a higher​ resolution than this entire display behind you... That's a fun challenge." He starts with Retina display says "Until you see it you can't understand how amazing it is." Phil is on the stage for iPad demo. "Today we are annoucing the new iPad and it's amazing"
Tim says you won't find iPad like experience anywhere else. He shows apps running on other tablets like Samsung Galaxy Tab and compares that with applications on iPad. And you know who is the winner. He says when we ask users what is their favorite device their answer is usually iPad. And the reason behind that is games and apps that are custom built for big iPad screen. Now quotes from various publications about iPad. That brings us to iPad, Tim again talks numbers and says that Apple is shipping more iPad than the total number of PC shipped by HP. That's the Apple TV demo. Tim is back on stage. 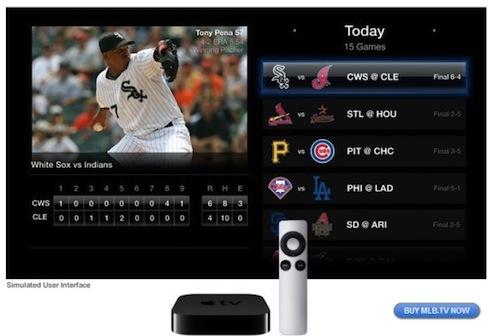 Announces Apple TV will ship on March 16th for $99. Eddy is looking through the movie selection and play "Extremely Loud & Incredibly Close". It took 10 seconds to start a 1080p playback. He shows the gorgeous new UI with and starts the demo with Photo Stream. Eddy Cue is up for demoing the new Apple TV. It's new Apple TV with complete iCloud support, 1080p support and new streamlined UI. Now iCloud and iTunes support in iCloud. Tim says you can't talk about post PC era without App Store. He is showing numbers including 25 billion downloads till now and 550,000 apps available for downlaod. Siri update will be part of iOS 5.1, which will be available today. Siri is now available in other parts of the world including Australia, France, Germany and Japan. Now iOS, we sold 62million iOS devices last quarter and 315million overall. And he says one of this favorite iOS feature is Siri. Showing Apple Store videos from around the world. Now he is talking about advantages Apple has with Apple store, iTunes and other services. Talking about revenue, Apple post PC devices made up 76% of revenue and Apple's feet are firmly planted in post PC era. He says we have three post PC product iPod, iPhone and iPad. He says that Apple is leading the post PC revolution and is talking about a world where PC is no longer the center of your digital life. Tim Cook is on stage and welcomes everyone to a great Apple event. We are in the hall the event is about to start. We are here and ready to go in, still 20 mins left for the event to start. We will be doing live coverage of Apple’s iPad event today. 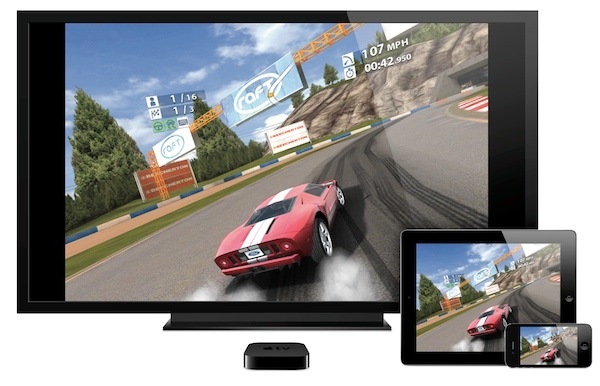 It is rumored that along with iPad 3, Apple will also announce Apple TV update and a new accessory codenamed B82. For live coverage of the press event please join us on live.TechzTalk.com. The Apple event will start at 10AM PST / 1 PM EST. Is Liquidmetal Replacing Aluminum on iPad 3? 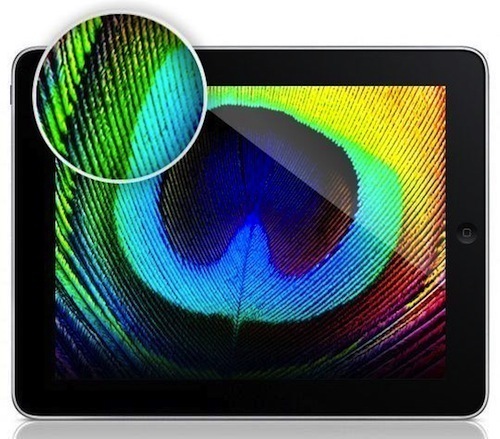 Every other tech website is now reporting that Apple’s next generation iPad 3 will be called “iPad HD” because it will have higher resolution display. 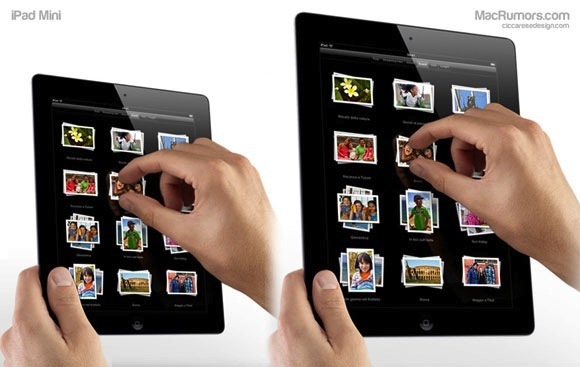 However, I believe that calling the new iPad model “iPad HD” will be a big mistake, especially for marketing purposes. Here are some of the reasons behind my thinking. 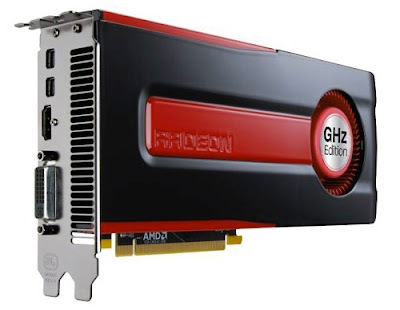 AMD today added two more graphics cards to their 28nm GPU lineup, the AMD Radeon HD 7870 GHz Edition and AMD Radeon HD 7850 graphics cards. Featuring AMD's cutting-edge Graphics Core Next Architecture (GCN) for spectacular performance and efficiency, the AMD Radeon HD 7800 series comes equipped with PCI Express 3.0 and the efficient AMD ZeroCore Power technology. MIC Gadget has gotten their hand on front glass panel, rear aluminum shell and some cases for upcoming iPad 3. 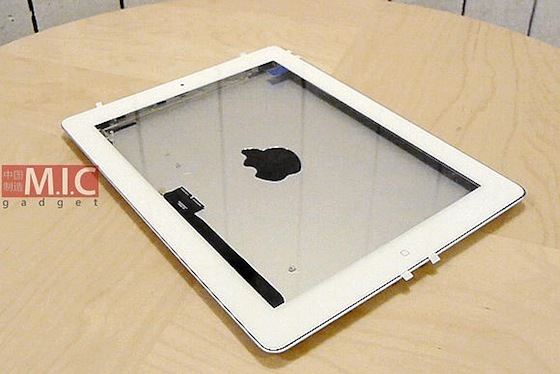 As they are the first tech site to get iPad 3’s front glass and rear shell they decided to put it together to see if the two parts fit. And these parts did fit perfectly as you can see in the image above.